Well, I think I accomplished all of that with this festive Thanksgiving Banner! 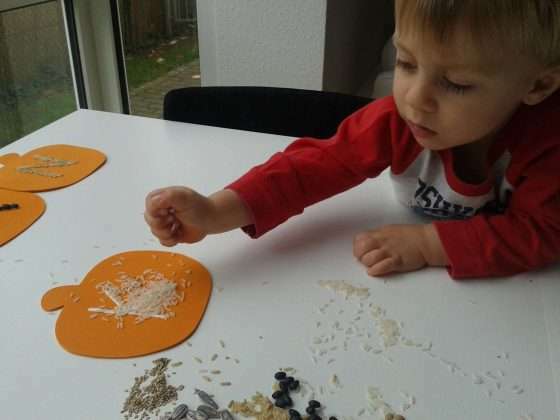 It was inexpensive to make and a great Thanksgiving craft for me and my toddler. 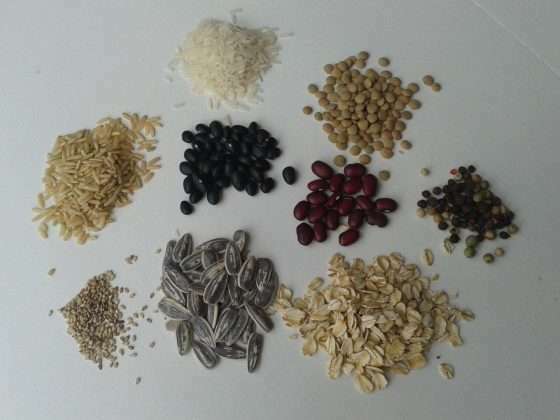 Place each dry ingredient in a small pile. On the first pumpkin, write a letter from the word “Thankful” with Tacky Glue. Sprinkle one dry ingredient over glue to completely cover it. Continue the process with each foam pumpkin. 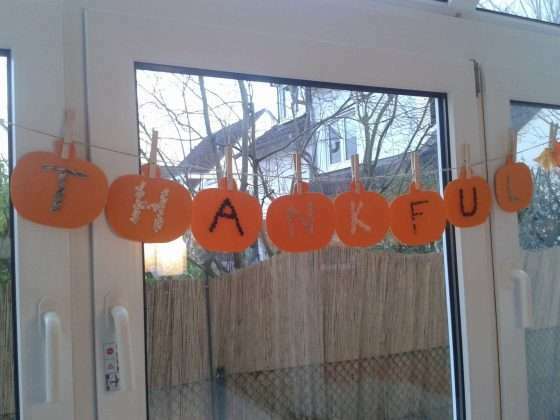 Once dry, lay out pumpkins to spell the word “Thankful”. Turn pumpkins over, keeping their order. Measure a piece of jute to span the length of the pumpkins leaving a few additional inches at each end for hanging. Pumpkins can then be clipped to the jute with clothes pins or taped to the jute. To do the latter, lay jute down across the middle of the pumpkins. Tape jute in place on each pumpkin. Form loops at each end of the banner to hang.